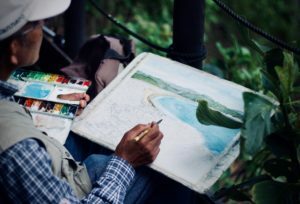 Join local instructor, Wendy Ziegler, on Saturday, April 27th & Sunday, April 28th, 2019 for our 2-Day Plein Air Nature Journaling Workshop & Nature Walk! Nature journaling (sketchbook journaling) is the art of recording the natural world in its own environment; sketching in detail and recording information about plants, animals, mountains, and landscapes to use as a reference or for instances when it cannot be captured in detail by a camera. This workshop’s emphasis will be on learning how to look closely at nature while observing with a keen eye and recording what you see in detail. The cost for the workshop is $40, if you pre-register before April 20th, or $50, if you register after April 20th. The cost will cover instruction & student grade materials that will be provided to use during the workshop, however, you are encouraged to bring your own supplies. You can find a list of required supplies here. 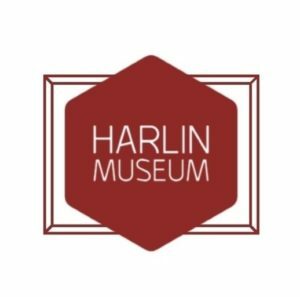 The indoor part of the workshop will be in the Lower Level Classroom Space of the Harlin Museum on Saturday from 10 am to 2 pm. The Nature Walk portion to practice your skills will be on Sunday from 1 pm to 3 pm at Galloway Park. It is recommended that all wear walking shoes and comfortable weather-appropriate clothing for the outdoor portion. Of course, participants are invited to bring their own lunch or snacks for either portion of the workshop. IMPORTANT: Please pre-register to attend ASAP for the best value and so that set-up spacing, and materials can be verified ahead of time. Registering and paying in advance guarantees your space in the workshop.